To do this, you will need to be able to link to the folder where the RedGate.ssc file is located. On the Link to source control dialog, select Subversion (SVN). If you're the first person to link the database to source control, specify an empty folder. If someone has already linked this database to source control, specify the folder they used. 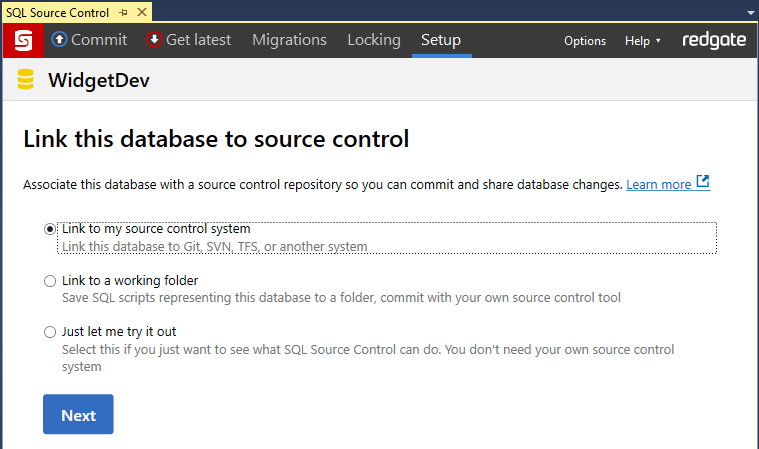 If you're the first person to link this database, add the database objects to source control in an 'initial commit'. To do this, go to the Commit tab and commit the objects. For more details, see Your first commit. 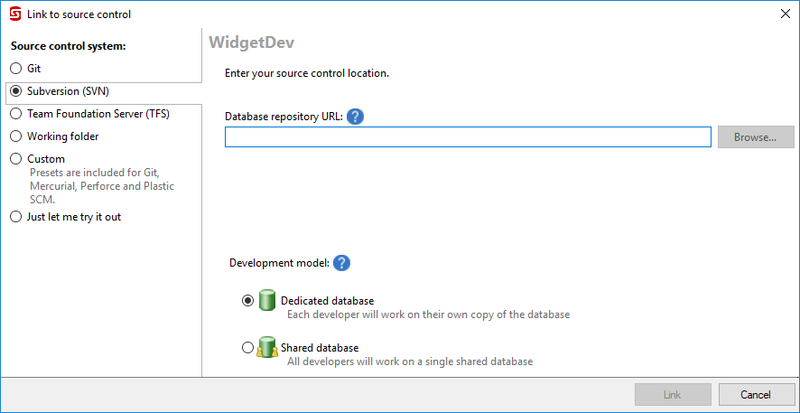 If you linked a database that's already in source control, update your database to the latest version. To do this, go to the Get latest tab and get the changes. For more details, see Get the latest version.